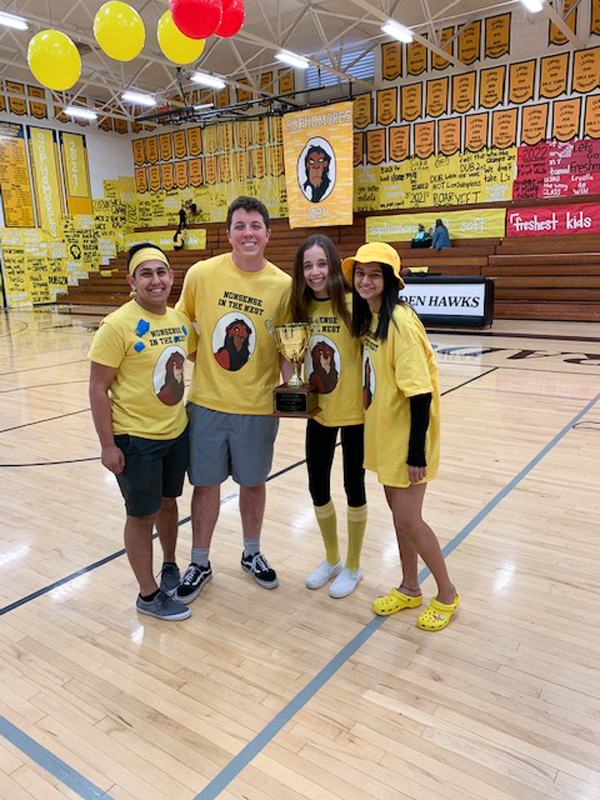 El Dorado's Class of 2019, and the winners of this year's Nonsense in the Nest Battle! 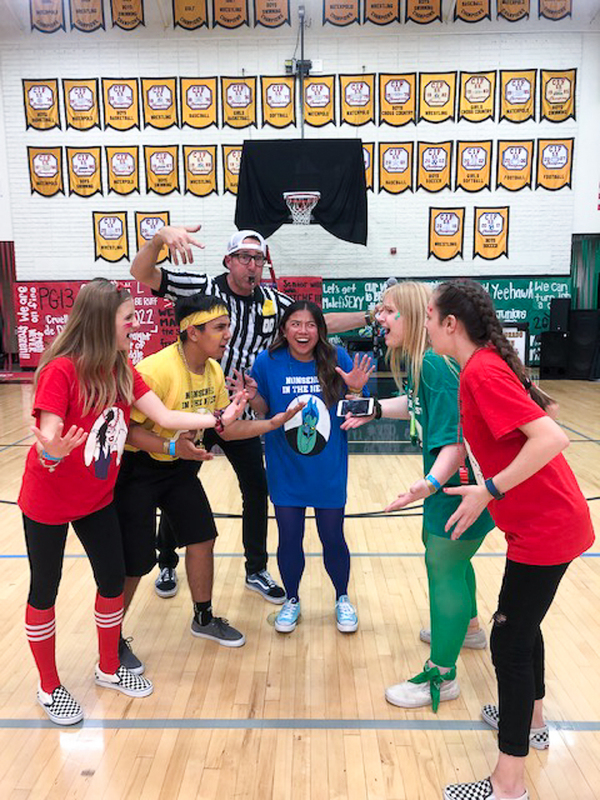 According to El Dorado High Activities Director, Eron Campuzano, Friday night, April 5, at the school was the “wildest night of the year.” The Golden Hawks hosted their annual “Nonsense in the Nest” Battle, with the theme of Disney Villains. 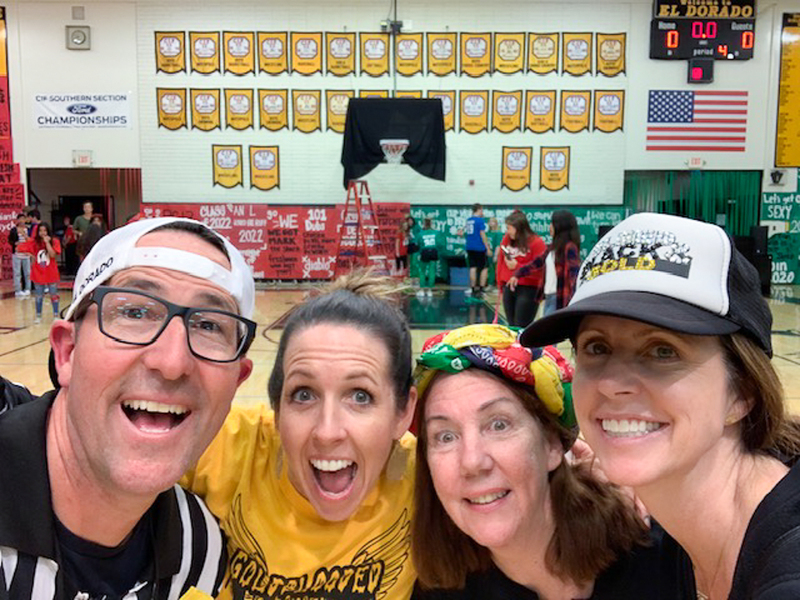 Each year, the school’s class competition culminates in a night of fun, laughter, tons of screaming, and a gym full of spirit. 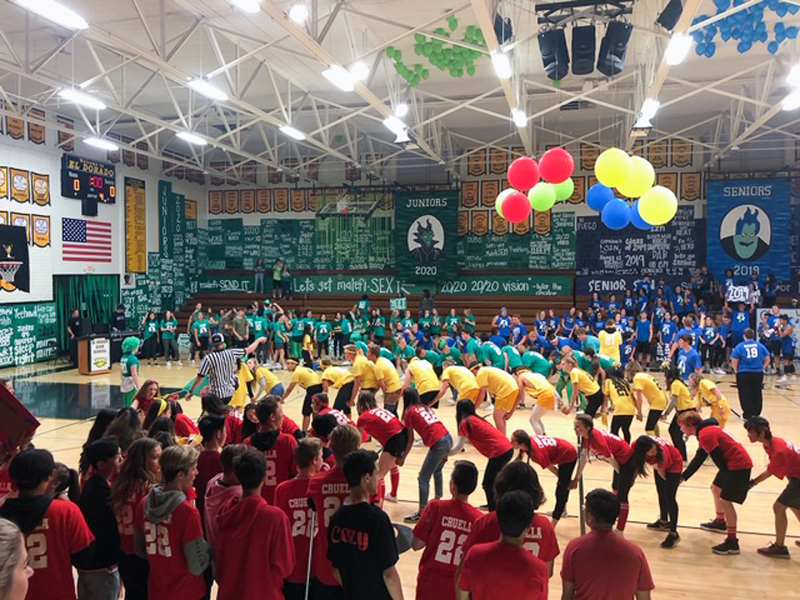 Heading into the night, the juniors held a small lead on the seniors with the sophomores and freshmen rounding out the leader-board. 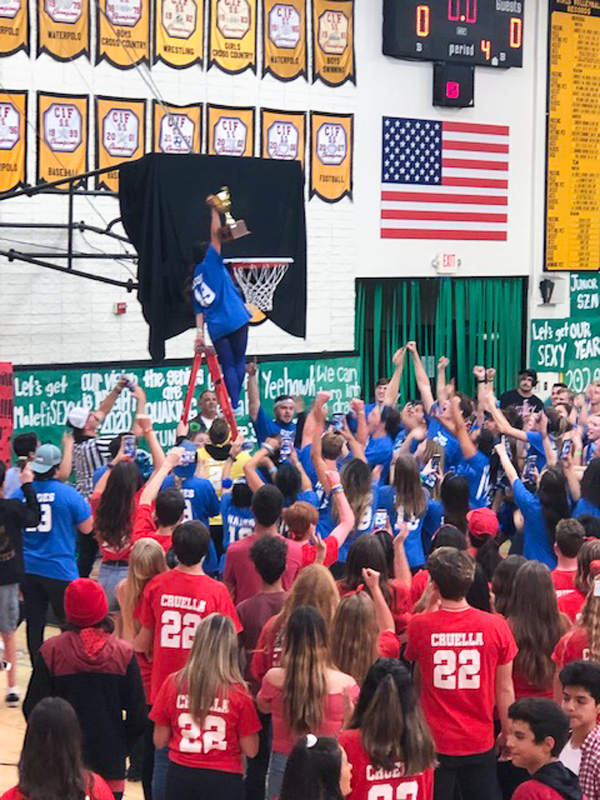 To begin the night, last year’s class champions, the Class of 2021, had to put the trophy back atop the hoop so everyone knew it was up for grabs again. 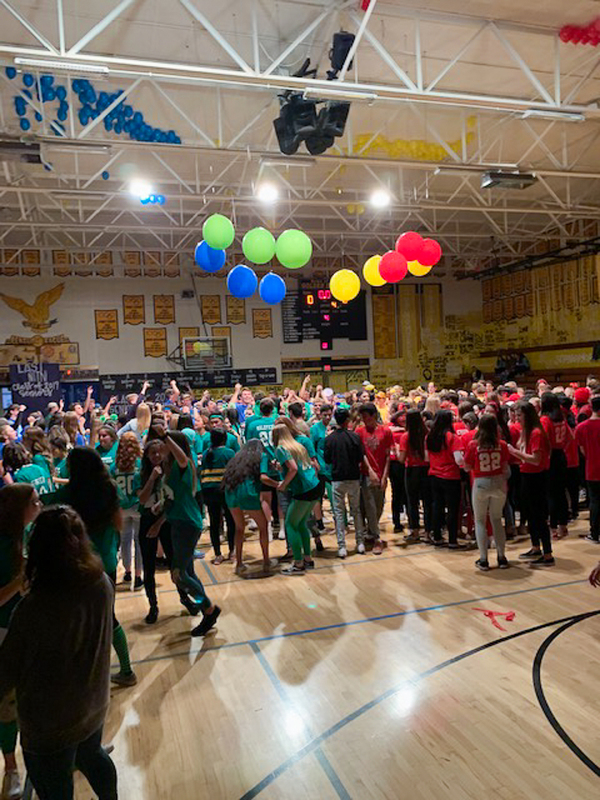 The first game of the night was a scooter relay, followed by balloon pop, the freshmen dance, skin the snake, sophomore dance, three point challenge, junior dance, towel drag, senior dance, and tug-o-war. Throughout the whole evening, the spirit was unparalleled. The students were cheering each other on earning points along the way. “Our judges had a tough time determining which class had the best dance, too!” Campuzano mentioned. At the end of the night, the class of 2019, aka the seniors, earned the right to hold the championship trophy. Senior Class President, Kaitlyn Duong, walked the ladder and held the trophy high in the air as the seniors erupted in joy. 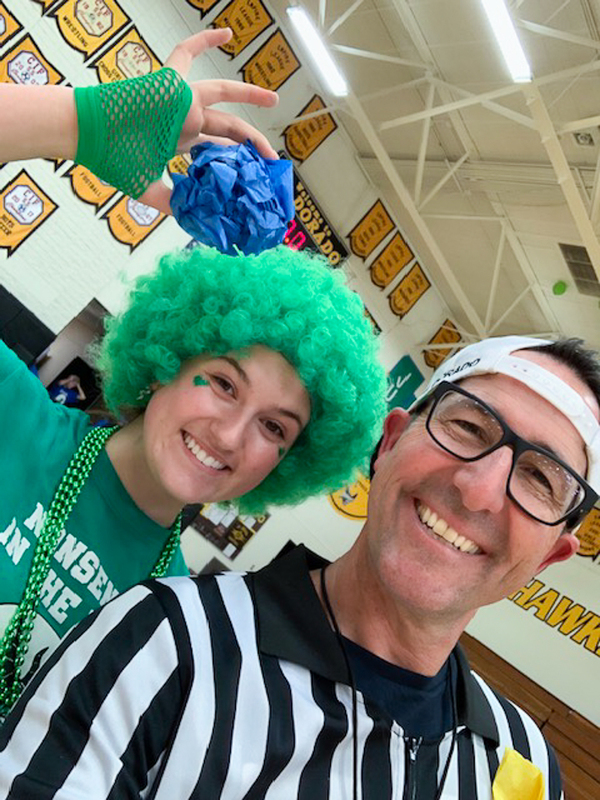 Last year’s theme for Nonsense in the Nest was Battle of the Elements, the classes were: Seniors- Fire, Juniors- Water, Sophomores- Earth, Freshmen- Air. 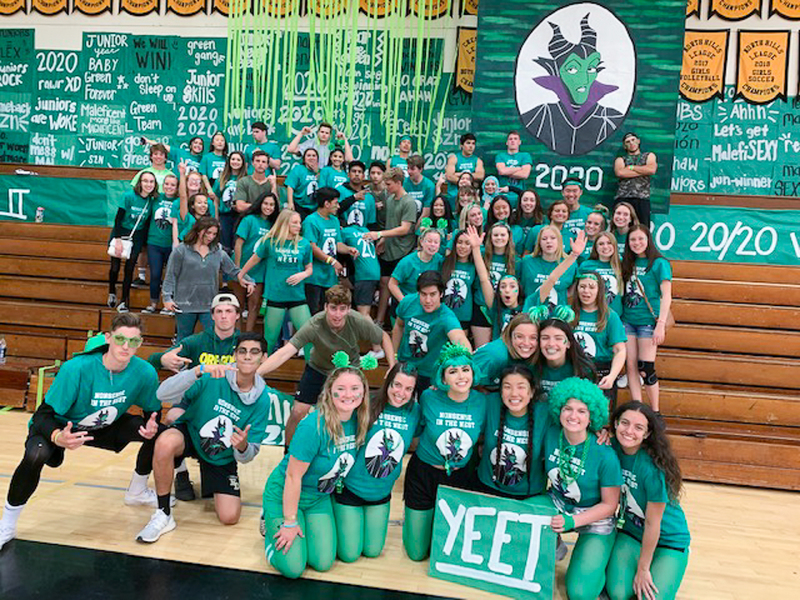 This year’s theme, Battle of the Disney Villains, pitted the following against each other: Seniors- Hades (from Hercules), Juniors- Malificent (from Malificent), Sophomores- Scar (from the Lion King), and Freshmen- Cruella Deville (from 101 Dalmations). 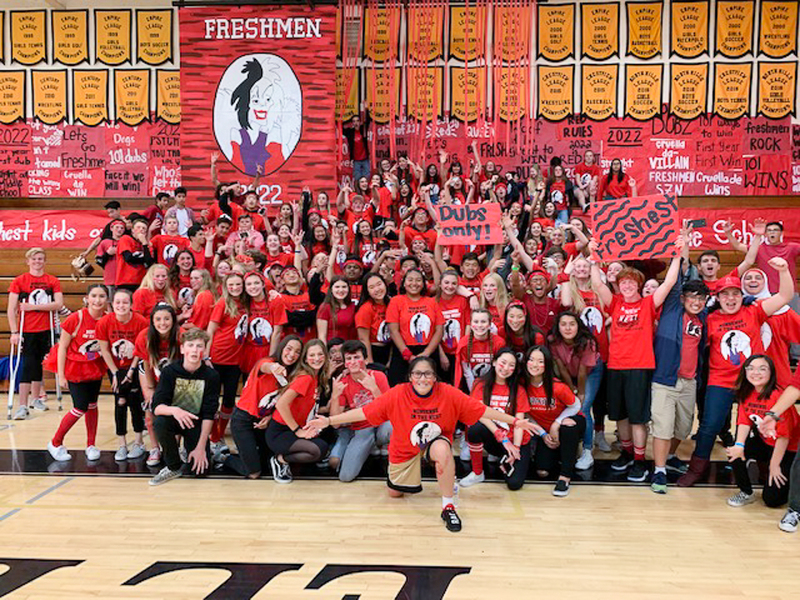 EDHS will announce next year’s theme closer to the end of this year. Great job, Golden Hawks! 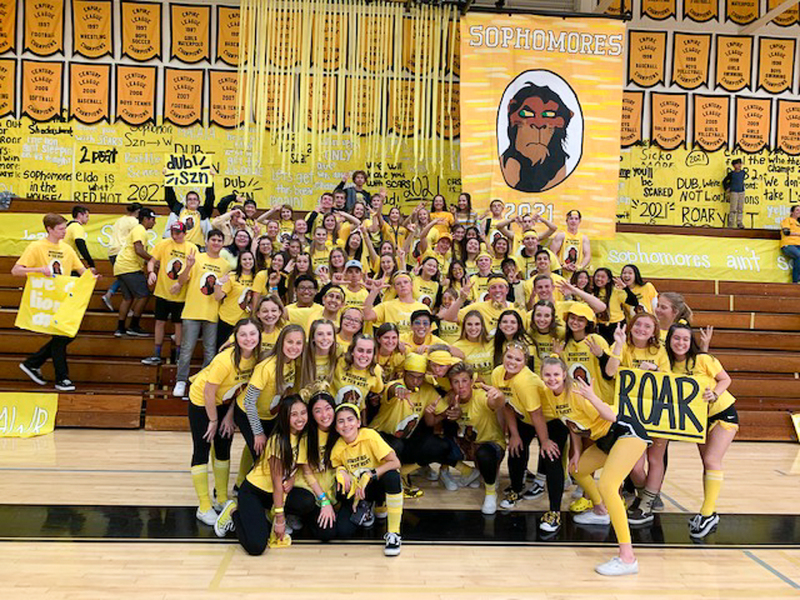 Be the first to comment on "Seniors crowned class champions following “Nonsense in the Nest” at El Dorado High School"